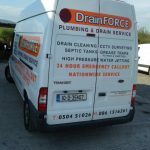 In Accordance with Section 20 of the Safety Health and Welfare at Work Act, 2005 and in fulfilling the employer obligations to employees of and obligations to Drain Force members of the public, Drain Force produced the following safety statement in respect of health and safety and welfare. It is the aim of Drain Force to achieve a working environment, which is free of work-related accidents and ill-health and to this end the company will pursue continuing improvements. • Identifying hazards in the workplace, assessing the risks related to them and implementing appropriate preventative and protective measures. • Providing and maintaining work equipment. • Establishing and enforcing safe methods of work. • Recruiting and appointing personnel who have the skills, abilities and competence commensurate with their role and level of responsibility. • Ensuring that tasks given to employees/volunteers are within their skills, knowledge and ability to perform. • Ensuring that technical competence is maintained to the provision of refresher training as appropriate. • Promoting awareness of health and safety and of good practice through effective communication or relevant information. • Furnishing sufficient funds needed to meet these objectives. This health and safety statement will be reviewed annually to monitor its effectiveness and to ensure that it reflects changing needs and circumstances.